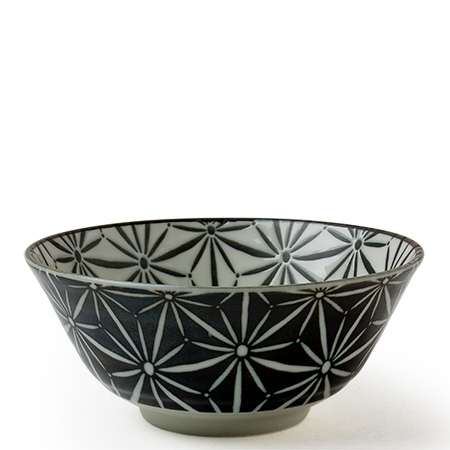 Black and white Komon Asanoha pattern 6" bowl made in Japan available at Miya. 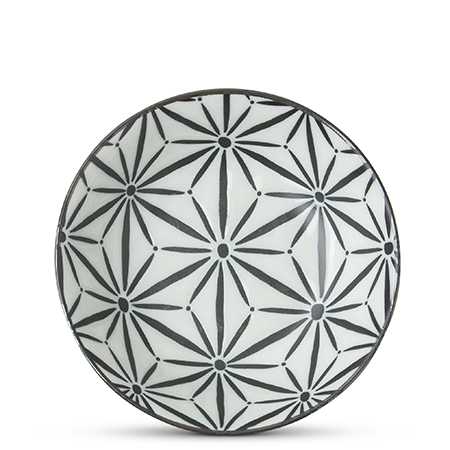 The Komon Black and White Collection features traditional Japanese patterns in a beautifully contemporary color scheme. 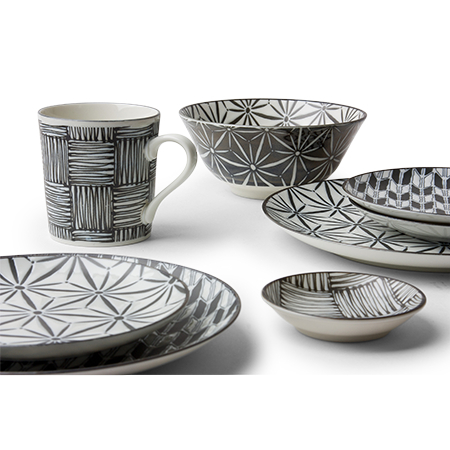 This wonderfully crafted series has a grooved texture so that you can feel the pattern. 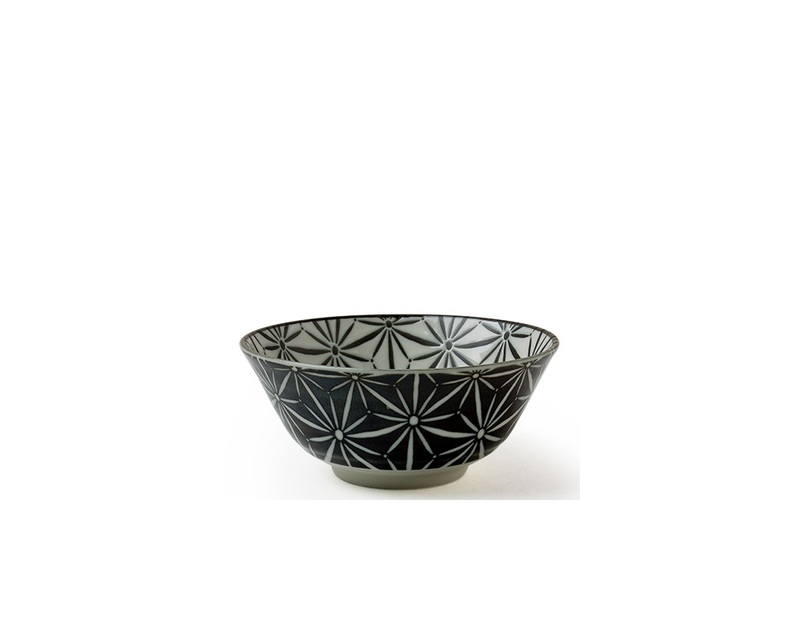 This 6" bowl is perfect for soup, cereal, ice cream or snacks. 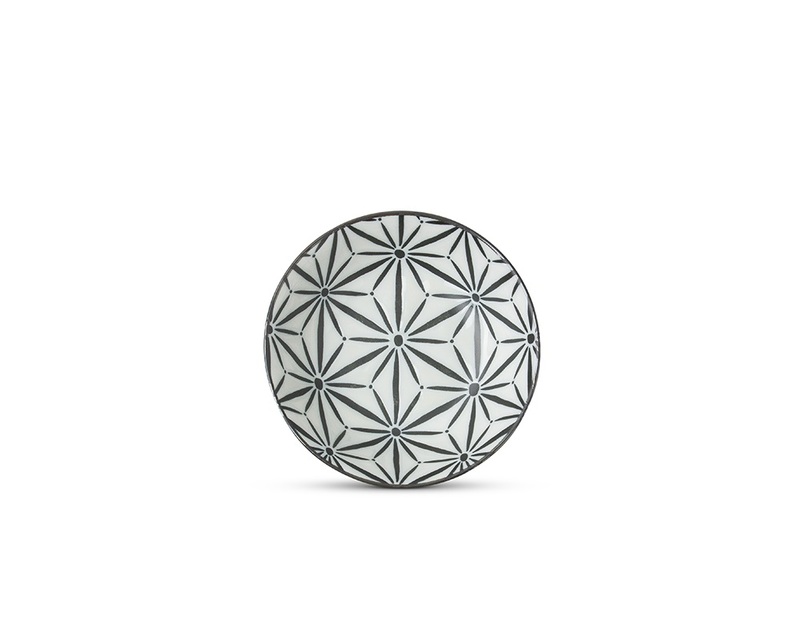 Please note glaze may pool in some areas. 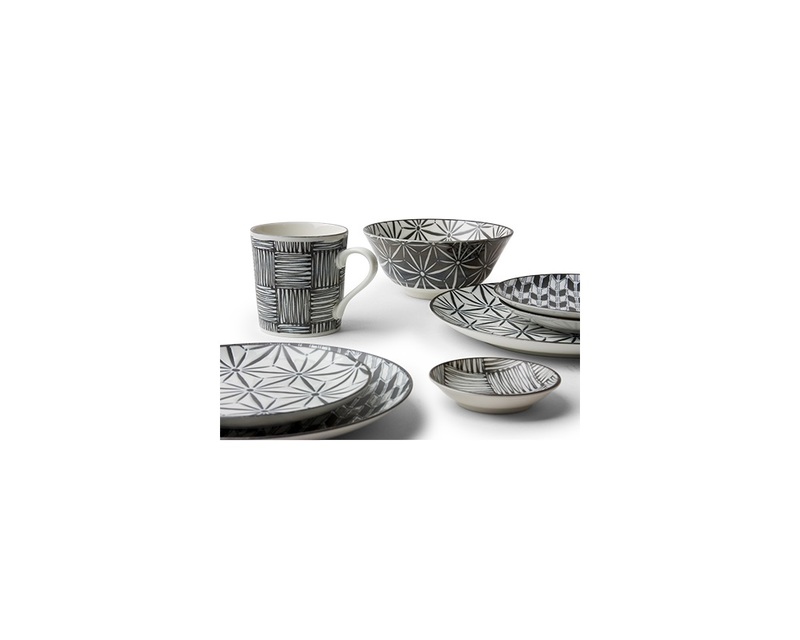 These are a natural part of the design and not a defect.